I have planned to do a super quick blog post today, because tomorrow, Im going to take my grandmother and my aunty to the airport in the early morning. Oh yeah, my beloved best friend and guardian is going to have her birthday tomorrow, curious much who is she? Yup, Im talking about my super down to earth mom, awwwh mom is so lucky because her mother and her big sister will be arriving in Balikpapan in her birthday. And about this outfit emm let me say that it's a little bit girly huh? 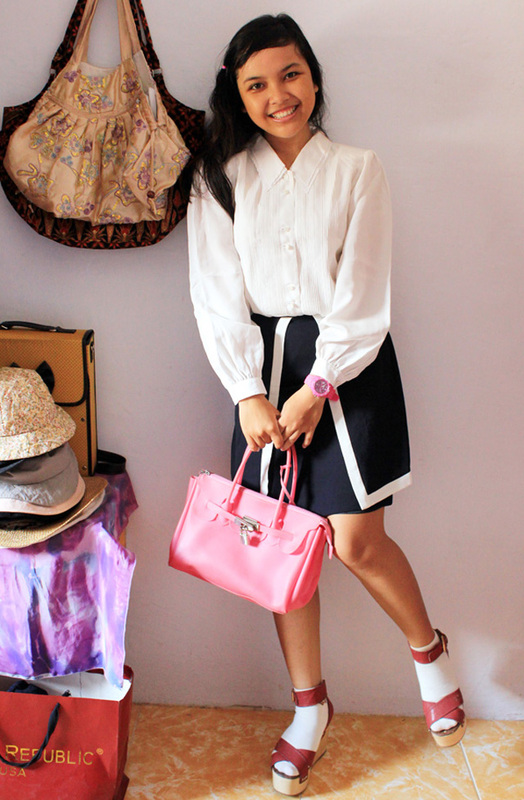 i always love your outfit with skirts <3 and heart the wedges! You have a nice fashion sense! I so love that coral pink bag! Makes me want to buy a new bag! lol. I just posted my review of Lancôme's 2012 Fall Collection on my blog. If you have a minute, I would love to hear your comment and maybe follow me? Thanks! love love LOVE your skirt! looks great! You look cute! Why are you not going to Kalimantan? Thanks for your cooment! Follow each other? If you want, like my FB page! 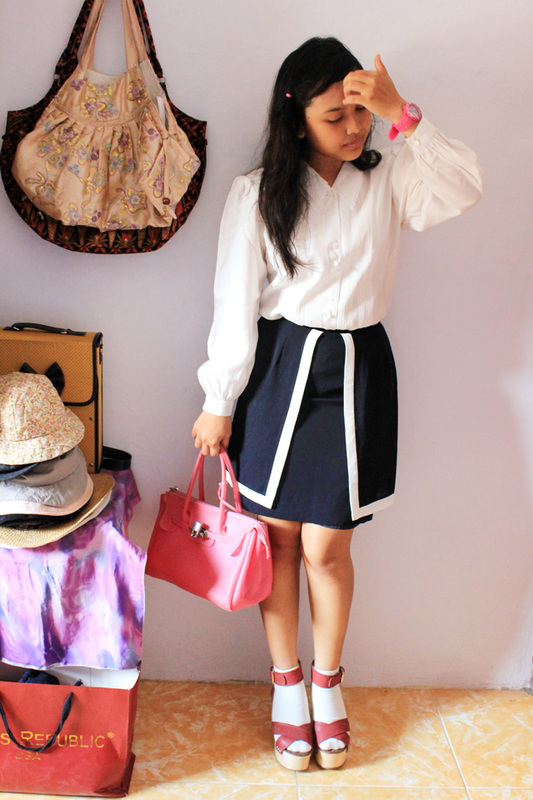 that skirt look so pretty,very different too.Nice blog.. If u want we can follow each other on gfc n bloglovin. Let me know. wow wow wow love your skirt very very much! vintage?